Kizhi Pogost is on Kizhi Island in the second largest lake in Europe - Lake Onega. 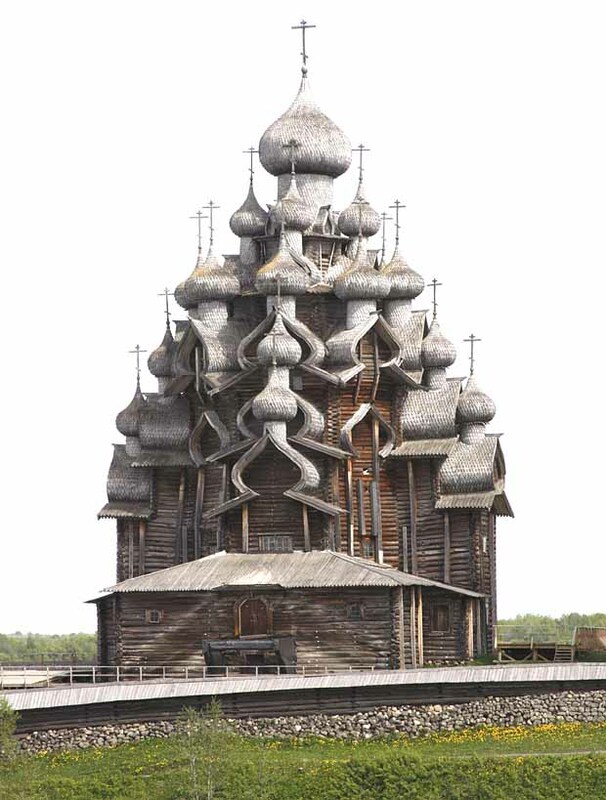 Kizhi Pogost is an architectural museum containing numerous structures including several churches, a number of log houses, windmills, chapels, saunas, and other buildings. 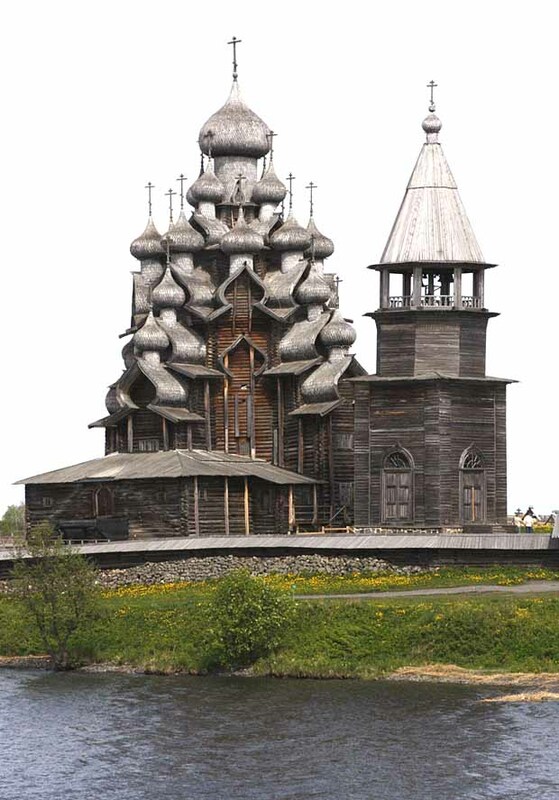 The most important single structure is the wooden Transfiguration Church with it's twenty two domes. It's walls are built of pine logs and the shingles on the roof are aspen. It was built in 1714 and is one of the tallest log structures in the world. UNESCO has designated Kizhi as a World Heritage Site.